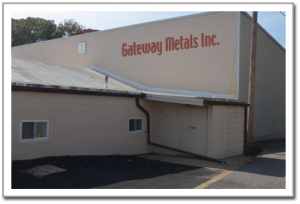 Gateway Metals, Inc. celebrates 13 years in business | Gateway Metals, Inc.
Gateway Metals, Inc. (GMI) is celebrating 13 years of operation this July in our 50,000 square foot facility serving the Midwest United States and surrounding areas. With a 24 hour production schedule and the most equipment and inventory available for processing orders quickly since our inception, Gateway Metals is determined to meet the needs of our customers more quickly and accurately than ever. We offer a full range of saw cutting, milling, and precision grinding to give our customers exactly what they want fast. Located in the heart of the Midwest in St Louis, Missouri, we have capabilities of one day transit to the Midwest and two days transit to most of our customers outside the Midwest. Our customers are the key to our success and servicing them is our number one priority. If you have a need for tool and die steel, mold steel, or die cast steel, we invite you to look through our web site at our capabilities, or contact us by phone, email, or fax and give us the opportunity to prove to you what great customer service can do for you and the success of your business.